Since its introduction in the late 1980s, Answer Set Programming (ASP) has been widely applied to various knowledge-intensive tasks and combinatorial search problems. ASP was found to be closely related to SAT, which led to a new method of computing answer sets using SAT solvers and techniques adapted from SAT. 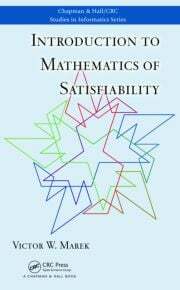 This has been a much studied relationship, and is currently extended towards satisfiability modulo theories (SMT). 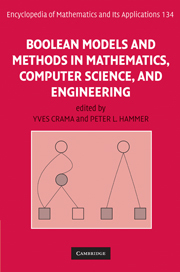 The relationship of ASP to other computing paradigms, such as constraint satisfaction, quantified Boolean formulas (QBF), Constraint Logic Programming (CLP), first-order logic (FOL), and FO(ID) is also the subject of active research. Consequently, new methods of computing answer sets are being developed based on relationships to these formalisms. Furthermore, the practical applications of ASP also foster work on multi-paradigm problem-solving, and in particular language and solver integration. The most prominent examples in this area currently are the integration of ASP with description logics (in the realm of the Semantic Web) and constraint satisfaction (which recently led to the Constraint Answer Set Programming (CASP) research direction). A large body of general results regarding ASP is available and several efficient ASP solvers have been implemented. However, there are still significant challenges in applying ASP to real life applications, and more interest in relating ASP to other computing paradigms is emerging. This workshop will provide opportunities for researchers to identify these challenges and to exchange ideas for overcoming them. the International Conference on Logic Programming (ICLP) 2016.